BURNPUR CEMENT LIMITED is one of the most reputed and largest integrated cement companies in eastern region. Burnpur Cement Ltd. was originally incorporated on 19th June, 1986 as Ashoka Concrete and Allied Industries Pvt. Ltd. The name of the Company was changed to Burnpur Cement Pvt. 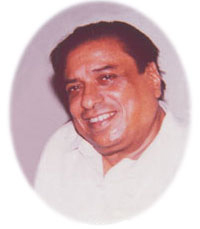 Ltd. on 18th September, 2001. The company was subsequently converted to public limited company to Burnpur Cement Ltd. on 12th November 2001 and became a closely held unlisted company. It is enlisted with National Stock Exchange (NSE) and Bombay Stock Exchange (BSE). It is but fitting to recapture the moments of agony and ecstasy experienced by Late Ramawatar Gutgutia, the Founder CMD of the Company, who undertook to shape the destiny of Burnpur Cement. 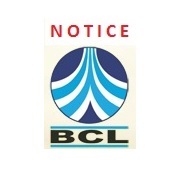 BCL started its operations in the cement industry in October 1991 & a plant was set up in Asansol, West Bengal to produce Portland Slag Cement (IS 455:1989). Expansion of facilities over the years has resulted to a capacity of 0.3 million metric tonnes per annum, from its Asansol Unit. BCL has set up an integrated cement plant at Patratu, Jharkhand with an installed capacity of 0.3 million metric tonnes per annum with an investment of about 300 Crores. The first phase of our Integrated Cement Plant, has started its commercial production, which was inaugurated by the Honâ€™ble Chief Minister of Jharkhand, Sri Raghubar Das. The plant will be able to produce the three most commonly used types of cement i.e. OPC, PPC and PSC. The Plant has been set with the most sophisticated Technology being used throughout the World for making Clinker i.e. Rotary Kiln Dry Process Technology. This Environment friendly Technology reduces the consumption of power and water, and enhances the Quality of Clinker & Cement. As a major producer in the eastern region, we cater to the needs of a large group of customers; from the common man to large industries. Burnpur Cement not only extends assurance of strong residential, construction and big commercial complexes, but also ensures guarantee in construction of flyovers, bridges, dams, culverts, concrete roads and various other sophisticated mass concrete jobs. BCL has made consistent and continuous endeavors to improve the quality of its products and services, and thereby has earned wide brand recognition for consistent product quality and customer satisfaction. The company has also exported its products to Bangladesh in the past.